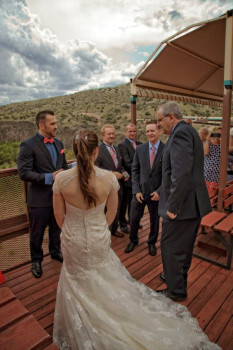 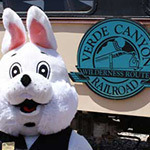 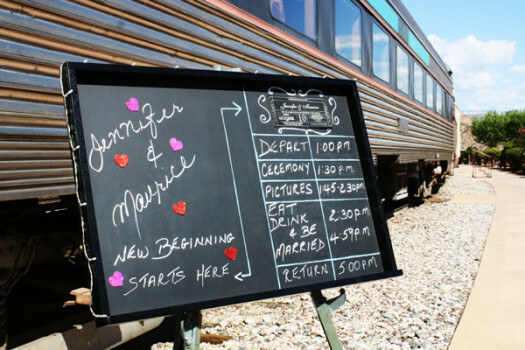 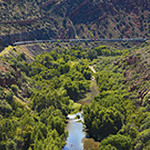 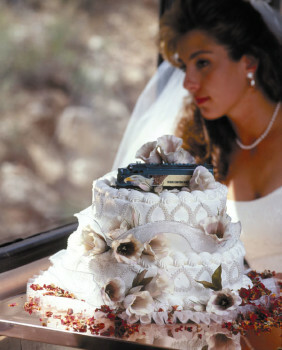 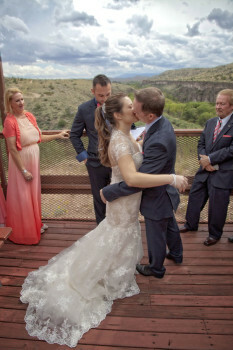 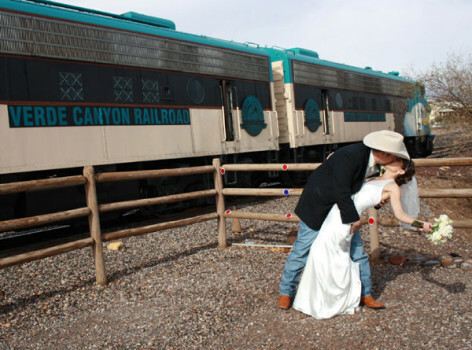 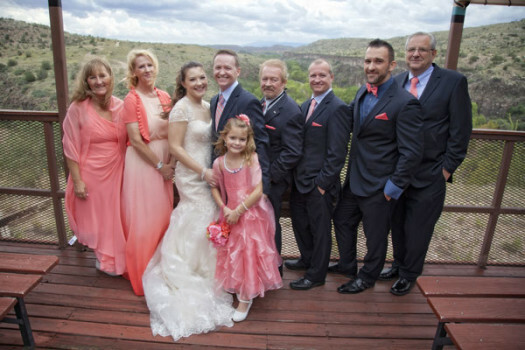 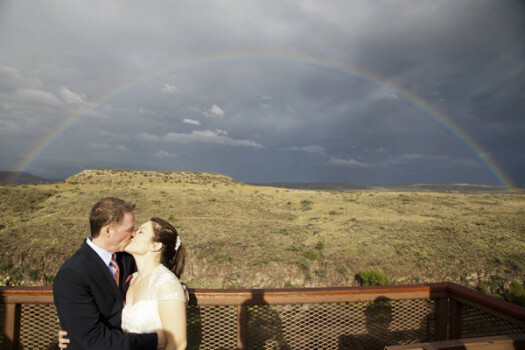 While most couples choose to exchange vows on an open-air car stationed over a historic trestle, the SOB Canyon Bridge, 150 feet above a panoramic vista, pairs have said “I Do” at other locations, including at the depot just before the train whistle sounds the beginning of their new journey together. 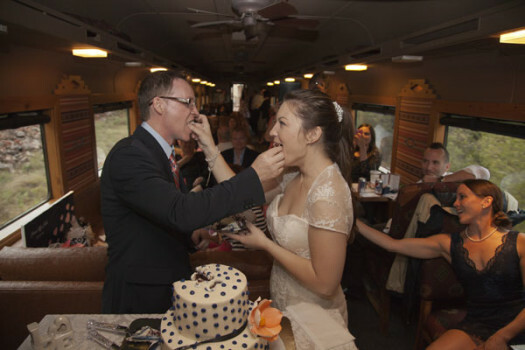 A magical wedding celebration continues with a private car reception, a party at 12 miles-per-hour. 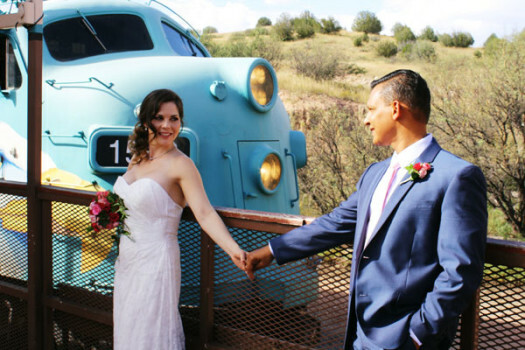 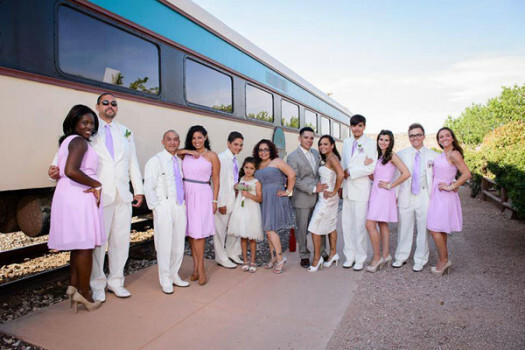 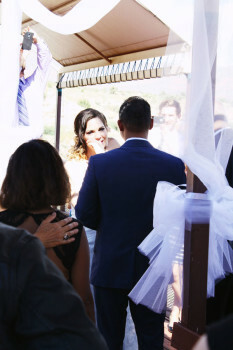 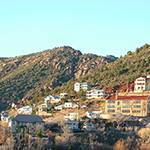 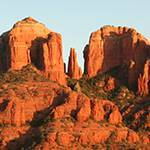 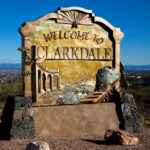 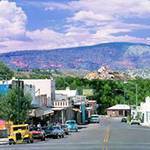 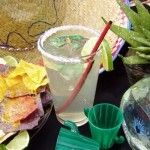 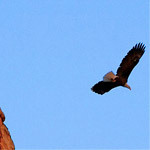 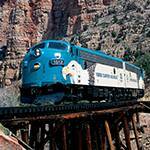 Make your Sedona Wedding as memorable as possible. 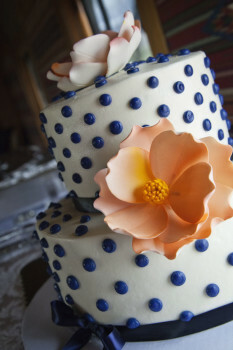 Celebrate with us. 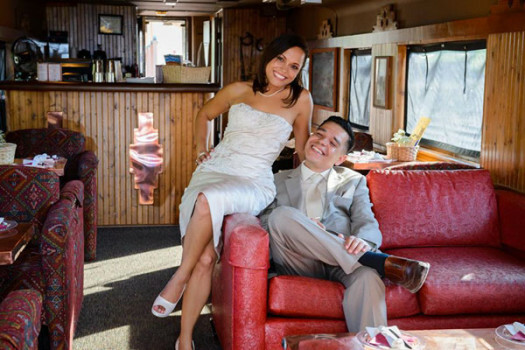 Onboard weddings range from intimate parties to groups filling several adjoining cars. 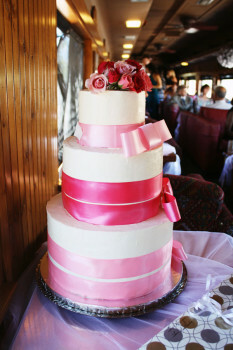 Groups of 32 or more have their own open-air viewing car accessible from their private indoor car, further enhancing the celebration. 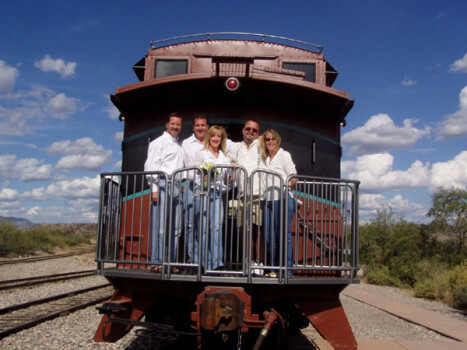 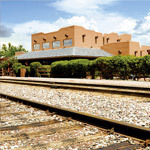 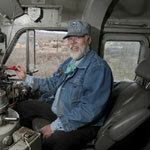 Decorations, Custom menus, entertainment and privacy are available for groups with exclusive use of at least one train car. 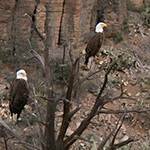 Pricing to be determined, based on groups selections and size.